O!PLA 2018 –almost 22.000 Jury members, almost 90 festival venues located between Baltic Sea and Tatra Mountains, more than 100 shorts divided into 8 competition categories– these numbers briefly outline the specifics of the most unique and completely grassroots biggest Polish celebration of animated film. 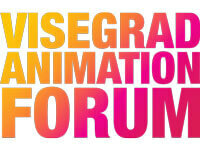 VISEGRAD ANIMATION FORUM (www.visegrandanimation.com) is a market access platform. It tries to attract new partners, producers, broadcasters, and film distributors. It also tries to find ways of financing both short animated films, TV series and also newly feature films.